Google’s Chrome web browser has been quickly gaining popularity and is now the second most popular browser in the world. Not bad for a browser that’s barely 3 years old. And it’s no wonder. Chrome is simple to use, fast and automatically updates itself without those annoying “click here to download the new version” prompts. The Chrome Web Store is an app store specifically designed for the Chrome browser. It contains thousands of games, productivity tools, and other programs that can be installed with one easy click. Chrome adds a nice icon to your home page for each application you install for easy access. Say, what’s that shiny new app in the web store? At BookedIN, we fancy ourselves a customer focused company so it didn’t take long for us to realize that adding BookedIN to the Chrome Web Store was bound to please a few of our fans. You get all the regular bells and whistles plus a nice, easy way to access the app without having to add a bookmark or searching Google. 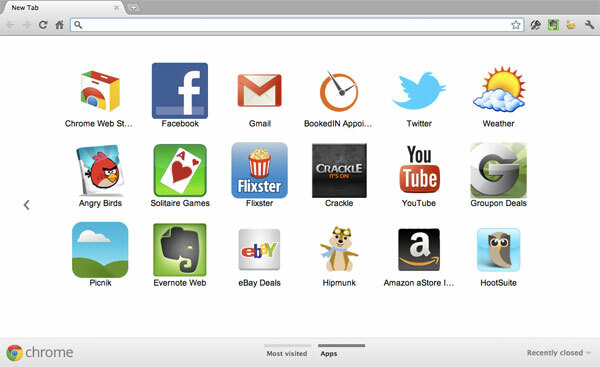 Access your favorite Chrome app right from the home screen. 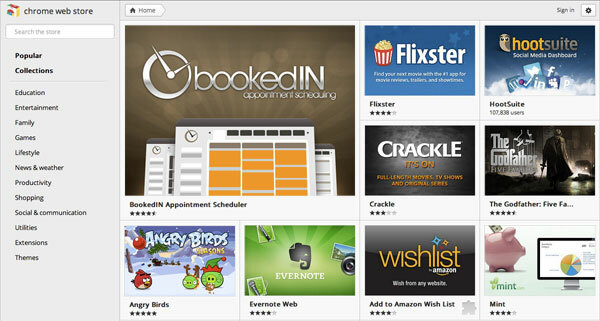 If you’re using Chrome, you can install the BookedIN Appointment Scheduler Chrome app here. If you don’t have Chrome, you can download it here. We hope our new Chrome app makes your appointment scheduling life a little easier. If you have any feedback, feel free to drop us a line on Facebook, Twitter, Google+ or just post a comment below.